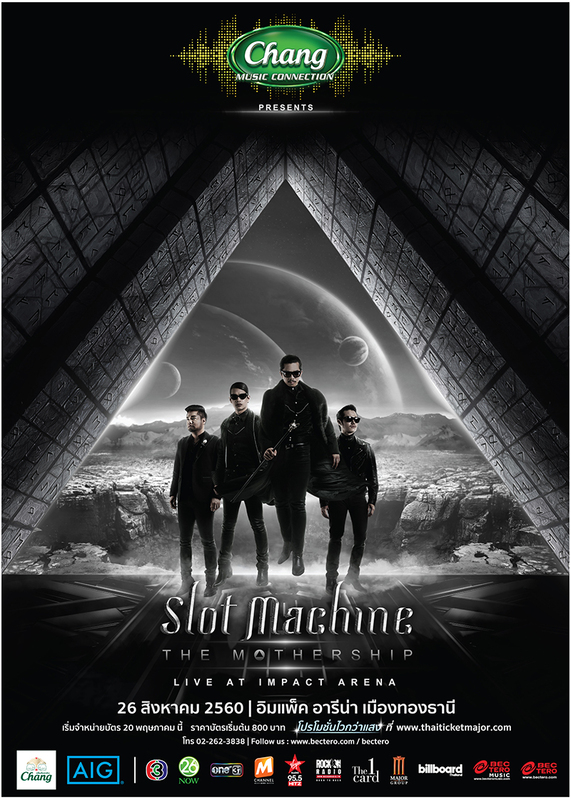 "“Slot Machine – THE MOTHERSHIP Live At Impact Arena” on Saturday 26 August 2017"
Slot Machine prepare for out-of-this-world gig with Chang Music Connection Presents “Slot Machine – THE MOTHERSHIP Live At Impact Arena” on Saturday 26 August 2017 at Impact Arena, Muang Thong Thani. 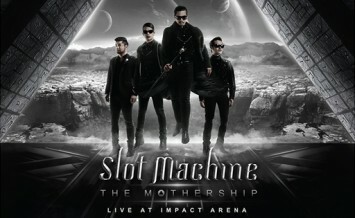 Tickets range from Bt800 to Bt2,500 and will be available from 10am on 20 May at all ThaiTicketMajor outlets or at www.thaiticketmajor.com. For more information, please call 0-2262-3838.